Taking a long trip can be fun and it may be an economical and comfortable way of getting to holiday destinations for families. Everyone would be buzzing with expectations. Maybe you have been dreaming about it for a long time during those cold winter days or tough times at work. In order to enjoy your well-earned break or holiday you must get there first. It would be a huge disappointment if you had car troubles on the way. This would disrupt your schedule and dampen the mood in the family. You want to be their hero who takes family to cool places. You don’t want to be the family stranded on the roadside. So, here are some of the things you can do to make sure you will have a pleasant journey, arrive to destination and back home safely. 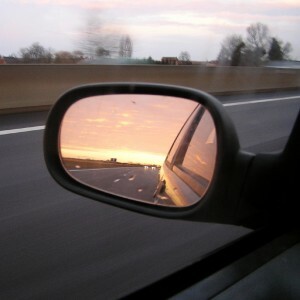 Automobiles are driven around the familiar local surroundings most of the time. You commute to work, take children to school and visit local restaurants and grocery stores. If you ever have any car troubles you are not far from help. You can easily call someone to pick you and your car up or make home using alternative methods of travel. It is a completely different story when you are broken down in the middle of nowhere. Which garage you will take your auto to be fixed? Are you going to wait until it is fixed or how are you going to get to your destination now? 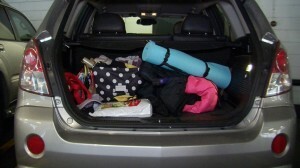 How are you going to sort out all the belongings you stuffed in the car without caring much? Wouldn’t you curse yourself when you find out that the problem could have been fixed in a routine maintenance service? Check your log book and get it serviced if it is near its recommended service mileage. Mechanics will look at all sorts of issues and change the parts that are wearing off during a full service. Otherwise, you should have a basic check-up of oil, brake, exhaust, tire, lights and windscreen wipers. Many garages and tire shops offer this service at a nominal cost. This will increase your safety and reduce accidents and breakdowns. If you are aware of any issues that may cause trouble this is a good time to get them fixed. Also take some food like crisps, biscuits, chocolate bars and even jams, chocolate spreads and loaf of bread. Take a lot of fruits and fruit juices with you especially if you are traveling with kids. You don’t always find good food on the road and they may not be there when you need them. Remember to take enough books and gadgets to entertain children. Bored children can be a real headache. If they are happy with watching their favorite programs or playing games you will be left alone to enjoy the scenery. Check Your Auto Insurance and Roadside Recovery Arrangements. When you think a long road trip first thing comes to mind is having additional drivers. If a friend or another person is likely to share the driving responsibilities make sure they are covered by your automobile insurance policy. Furthermore, check to make sure the policy will not be due while you are away. If it is, check for alternative car insurance rates and decide if you are going to stay with the current provider or switch. Whichever way, make your arrangements; leave your instructions and payment details in advance. Roadside recover services are normally highly valuable to have. They are priceless when you are broken down far away from home. They can provide varying services depending on your plan. They can even take you to the nearest bus or train station and your car to the nearest garage without any additional charges. Make sure you have a recovery service plan and you take the details with you. Hopefully everything goes well and you have a cracking time. Being prepared can save you a lot of hassles and you can deal with whatever comes your way. Author Bio: Joe Moore utilizes his years of financial services experience by writing for various blogs and Talk Car Insurance Forum. His articles are heavily on saving money and financial independence.